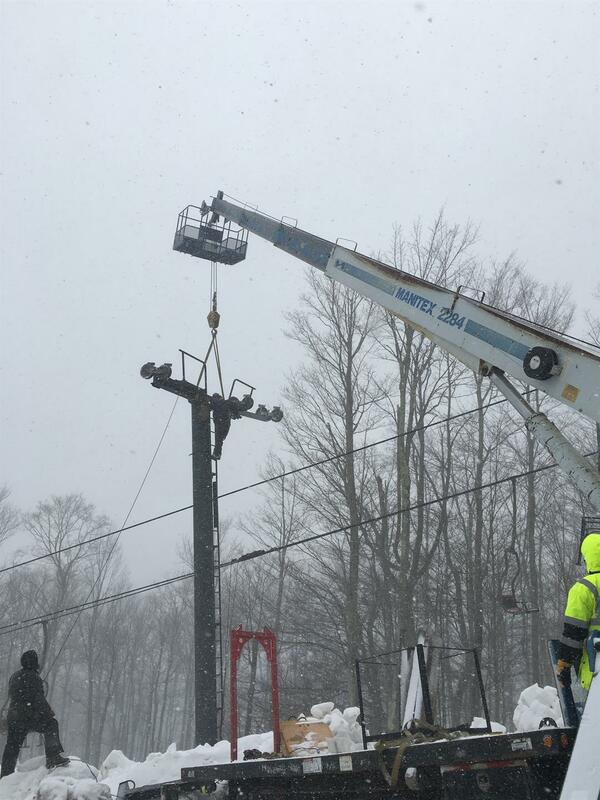 Timberline, WV re-opens the Thunderstruck triple today after getting tower 12’s crossarm back on and reinforcing the lift’s 16 other towers. Meanwhile, the lawyers are circling. We might not see many lifts built in the Northeastern U.S. this summer with continued dismal weather hurting business. With plentiful snow across the west, keep track of new lifts to be built this summer here. Privately-funded urban gondola proposed for the Don Valley in Toronto by Bullwheel International Cable Car Corp., whose CEO is a man you may recognize from the Gondola Project. Cannon Mountain’s Aerial Tramway also re-opens today after being down two weeks following its Valentine’s Day evacuation. The tram’s 500 HP electric motor was shipped to Maine for repair and returned to Cannon on Wednesday for installation and testing. Curbed looks into why no one seems to want to buy 14 ski resorts operated by industry titans like Boyne, Vail and Triple Peaks. Timberline Four Seasons Resort plans to have the Thunderstruck lift re-opened Saturday after last weekend’s incident with help from Partek, Aerial NDT and Ropeway Construction. A new crossarm will be installed to replace the one that fell from tower 12 and the lift will be load tested before it re-opens. “We have assembled a world-class team of manufacturers, engineers, and safety inspectors who have been working diligently since the event took place to assess and repair the lift, with multiple levels of oversight at every step in the process,” the resort said in a statement posted to Facebook. 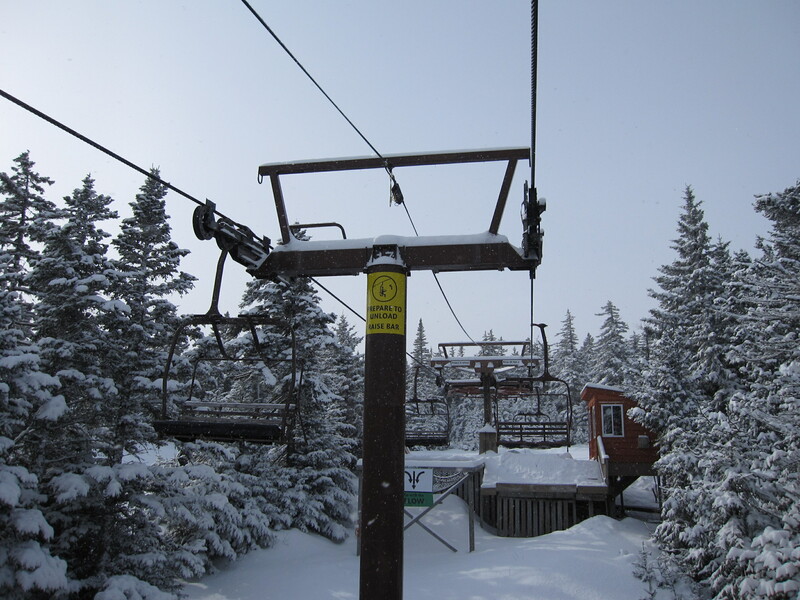 Sugarloaf temporarily closed its Snubber lift (a 1985 Borvig triple) for inspections Monday after news of the incident at Timberline. Sugarloaf notes it completed Borvig’s recommended reinforcement of towers on affected lifts in the late 1980s, as did Sunday River. In this photo from Sunday River, you can see the U bolts that were added in the late 1980s as a second connection between crossarm and tower tube on this 1986 Borvig triple (the same year and make as Thunderstruck at Timberline.) Borvig issued a bulletin in 1987 calling for this modification on certain lifts. The State of Vermont ordered the closure of the 2,000 foot double chair at Suicide Six after cracks were found on two of its towers. This lift was manufactured by Borvig in 1975 and has a different tower design than the ones at Timberline with no lifting frame. Because this particular lift provides the only access to the majority of the mountain’s terrain, the resort is closed until the towers can be repaired. By my count there are 176 Borvig lifts remaining in operation in 26 states and 3 Canadian provinces. The company built 260 lifts from 1962 to 1991. Added 2/25/2016: Sugarloaf announced today they performed non-destructive testing on the Skidway double’s towers this week in addition to inspecting Snubber. Skidway is a 1988 Borvig double. While the NDT found no problems, Sugarloaf will voluntarily install U-bolts connecting Skidway’s tower tubes and crossarms this week out of an abundance of caution.